The award-winning POC Lid Bohrium Red is a super-wide vision frameless goggle. 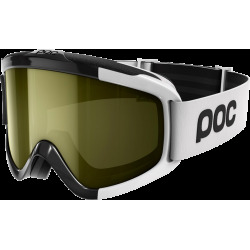 The double lens is made of optical grade PC/CP and has the best anti-fog and anti-scratch treatment available to promote vision and resistance. Category 4. 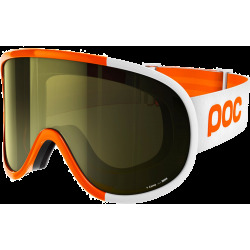 The award-winning POC Lid Bohrium Red is a super-wide vision frameless goggle. 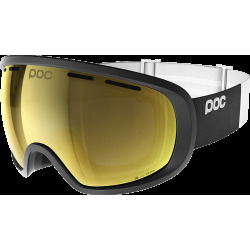 The double lens is made of optical grade PC/CP and has the best anti-fog and anti-scratch treatment available to promote vision and resistance. The unique patent pending lens attachment system makes it easy to change the lens and provides the freedom of an unobstructed view, which enables faster reactions to hazards in your peripheral vision. The frameless construction also means there are no angles for snow or water to get stuck in. Frameless construction for easy removal of snow. Optical grade polycarbonate outer lens. 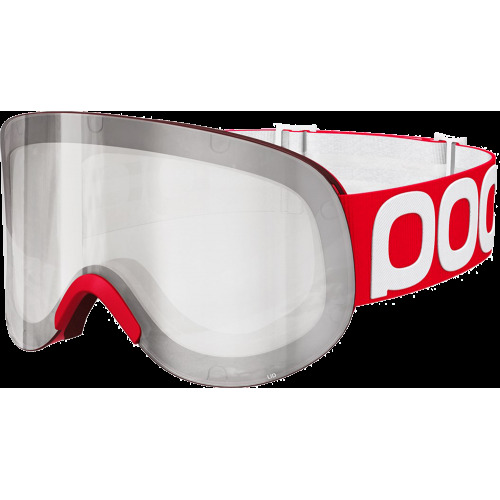 POC Lid Bohrium Red ski goggles are guaranteed 12 months against any breakage within the framework of a normal use, against manufacturing defects noticed by the manufacturer, as from the date of purchase (the date of the invoice). The guarantee does not cover the defects due to a misuse or to a lack of care (shocks, scores on glasses, loss, accident).